A former Google employee tweeted that she had been sexually harassed by two supervisors while Google allegedly did nothing to stop it. Kelly Ellis, who was a software engineer at Google for four years, tweeted the comments Saturday, according to BuzzFeed. Ellis, now a software engineer at blog-publishing platform Medium, has previously written articles on sexual harassment and sexism in technology. She left Google last July. I've tweeted in the past about being afraid to burn bridges. [Expletive] them bridges, they're not worth my self respect. Rod Chavez is an engineering director at Google, he sexually harassed me, Google did nothing about it. Reprimanded me instead of him. She also said that Gundotra allegedly told her she looked "amazing" in a swimsuit. Gundotra left Google last year. SF Weekly questioned Chavez about Ellis' tweets, but he denied any knowledge of them and said that he barely knew Ellis. Chavez quickly ended the phone call, saying he needed to check with Google about whether he should be talking to the press. 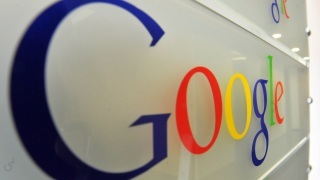 Google has declined to comment on the allegations, but it should comment on the issue soon. It seems that the Internet is already judging the tech titan. Ellis, too, has been judged. She reportedly has been receiving threats after she made the sexual harassment allegations.